What Direct Mail Triggers and Actions are Supported? Sent Campaign - Triggers when an email campaign is sent. New Address - Triggers when a new address is added to your group. Updated Address - Triggers when an address in your group is unsubscribed, hard bounced, or otherwise updated. Deleted Address - Triggers when an address is deleted from your address group. New Address - Creates a new address or updates an existing address. Unsubscribe Address - Marks an address as unsubscribed and (optionally) removes it from the group. 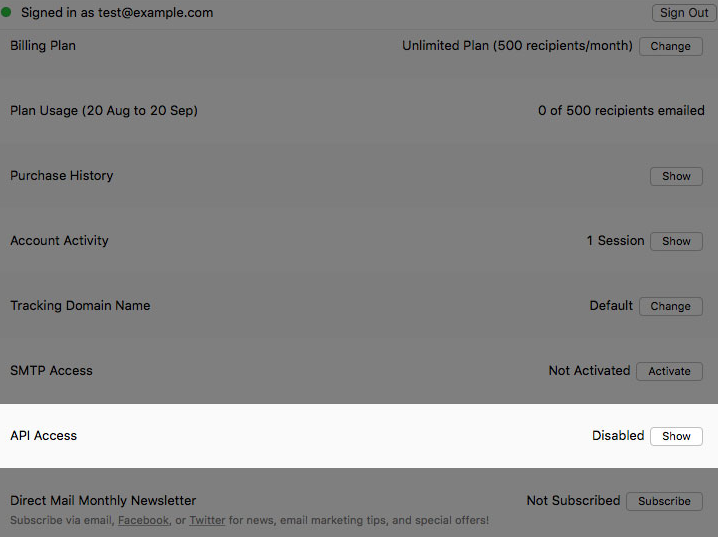 Open the Direct Mail app and choose Direct Mail > Direct Mail Account from the menu bar at the top of the screen. If you are not signed in to your Direct Mail account, please sign in. 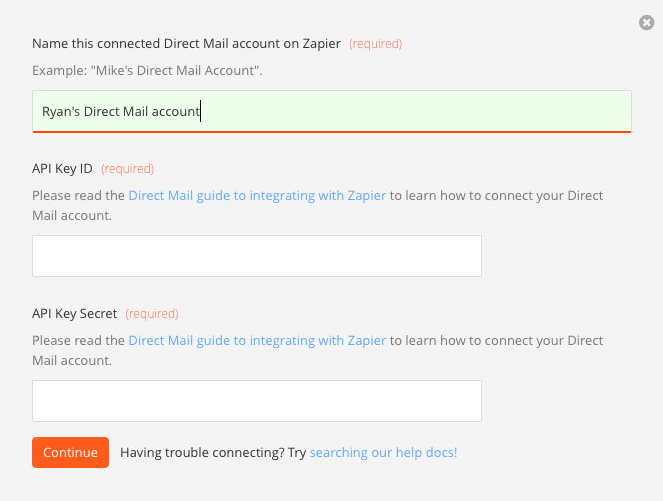 Click the Continue button in Zapier. 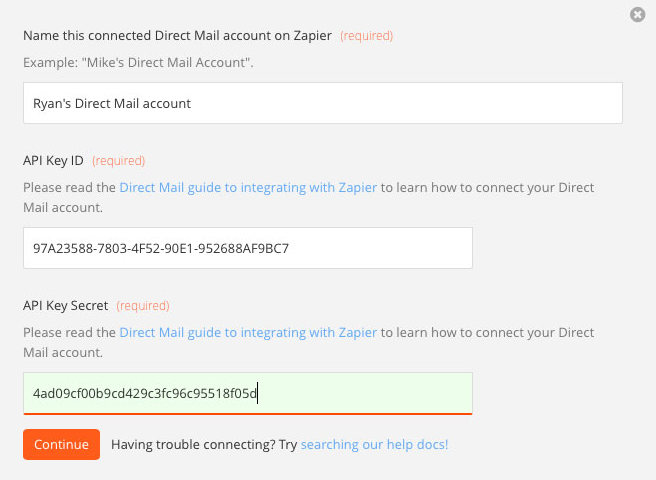 If your API Key ID and API Key Secret were entered correctly, your Direct Mail account will now be successfully connected to Zapier! Depending on the size of your project, it may take a while for your project to finish uploading the cloud. Once it has finished, you will be able to access it from Zapier. Zapier can only see changes that have been synced to the cloud. If you are editing your Direct Mail project, choose File > Save from the menu bar to trigger a new sync (or just wait a few seconds and Direct Mail will do it automatically). If you just moved your project to the cloud, it may take a few minutes before your project is available for use in Zapier.